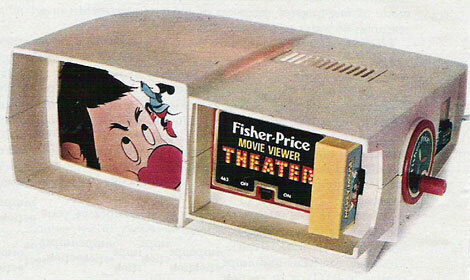 The Fisher-Price Movie Viewer Theater shows just how far kids' entertainment has progressed since 1978. 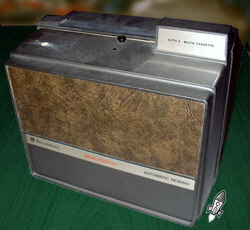 The compact plastic film viewer shows silent Super 8 movies on a blurry little screen. It can also project a 10-inch image onto the wall. Its best feature (speaking from personal experience) is that the film is hand-cranked, allowing kids to morph everyday Warner Brothers cartoons into bizarre reverse slow-motion cinematic works of art. The only thing cooler than owning one of these would be to have one loaded with your own movies. 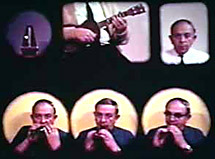 Super8man was up to the challenge, and loaded his own Super 8 home movies into the F-P viewer, enabling his kids to manipulate their flickery images on-screen. 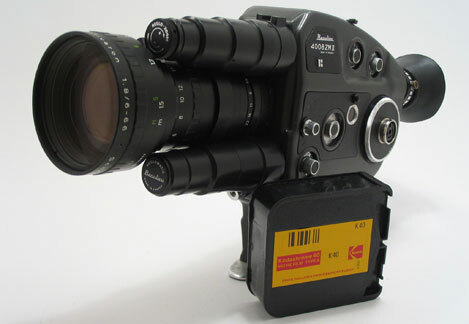 Conveniently, the viewer is compatible with standard Super 8 film. 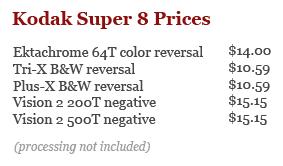 Super 8 film is still available, and it'll cost about $25 to shoot and process a 50 foot cartridge. The next step is to carefully pry open one of the old yellow cartridges and replace the film inside with your own Oscar-worthy footage. 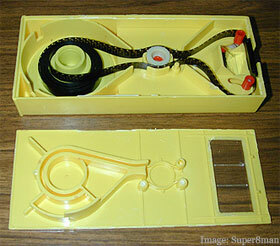 Super8man reports that the cartridges come preloaded with about 12 feet of film, but he thinks they'll accommodate up to 50 feet, giving a maximum running time of 3 1/2 minutes at 18 frames per second. Before it can be loaded, the new film needs to be spliced into a continuous loop. Loading it into the cartridge is guaranteed to be a fiddly process, and paying careful attention to how the prepackaged film is positioned will definitely make the replacement process easier. 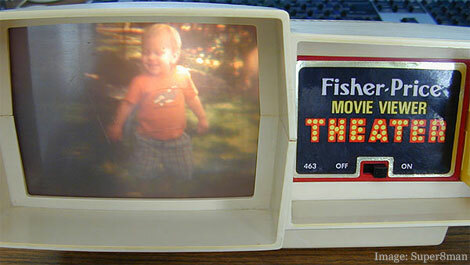 The Fisher-Price Movie viewer was also available in a hand-held version that resembled mom & dad's real Super 8 camera. It requires no batteries, you simply point it at a bright window of lamp and turn the crank. Both models turn up frequently on eBay, although prices vary considerably. I promised Giles Perkins that we'd mention the latest podcast film series at onSuper8.org. This time around, they're highlighting some favorites from the 2007 Flicker Attack in Los Angeles. 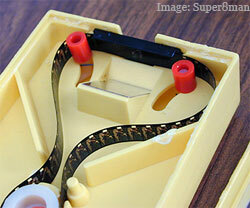 Each filmmaker was restricted to a single Super 8 cartridge, shot with only in-cartridge editing. Unlike years past, the show was limited to documentary films. First up is Claudia Bestor & Tony Hall's look at the world of model trains, thanks to the members of the Pasadena Model Railroad Club. Giles describes it as "a retro mix of old school hobby and those who clearly enjoy it and a lovely example of a single cartridge documentary." onSuper8.org just celebrated the 20,000th download in their tremendously popular podcast series. 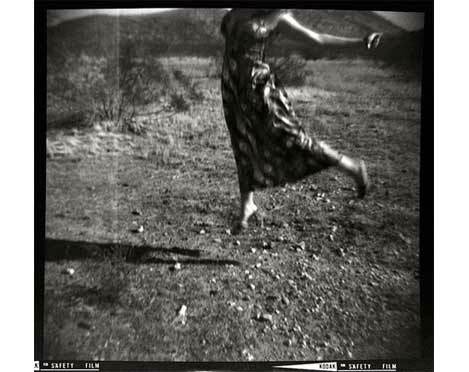 This is your opportunity to check out some brilliant work by modern Super 8 filmmakers. You'll discover that today's Super 8 film is a far cry from the scratched and faded home movies most people associate with the format. 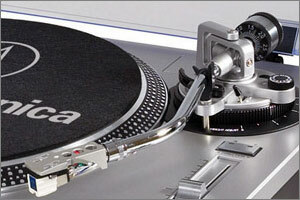 To mark the occasion, they have posted the site's first ever Top Ten Chart. Unlike garishly overcompressed YouTube videos, each film is hosted on blip.tv and is also available in high resolution QuickTime format. 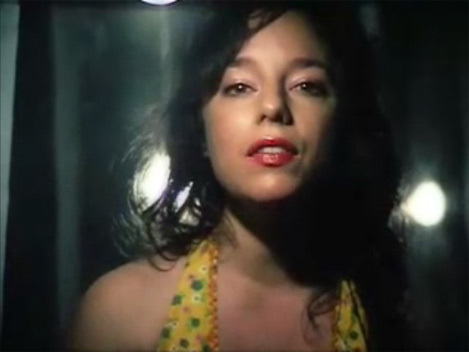 My current fave is the Lisa Lindal music clip by Matt Sandström. Once you've had your first taste of what can be accomplised on film, learn more about shooting Super 8, processing your film and how to get your work into festivals and onto the big screen. onSuper8.org is run by Super 8 addict Giles Perkins, who somehow found time to judge 75 films in the span of 24 hours at this summer's Strawberry Super 8 Film Fest in Cambridge before jetting off on a lightning 60 hour trip to LA to judge the Pro8mm single cart festival. He is also our resident expert on anything and everything to do with British food. Home Movie Day is tomorrow, and I hope that it's inspired you to pick up that old film camera and grab some shots for next year's HMD. Here's another installment of Retro Thing TV where I share an old super 8 sound film with you that offers some useful tips on making better home movies. Yesterday I wrote a post about a camera that used film loaded into magazines. Of course once your film came back from the drug store, it came on a conventional 8mm reel to thread up on your projector. 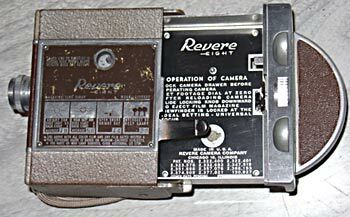 Along the way there were also several attempts to have projectors use special cassettes that simplified loading the projector and was thought to make home movie making even more accessible. 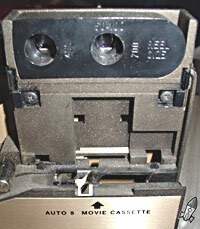 Here is a Bell & Howell Multi-Motion Movie 8 Cassette Projector (who names these things?). It looks pretty much like other dual 8mm/super8 projectors from the 1960's, but the feed reel is replaced by a socket for the special film cassette. The idea is that you'd load up all of your home movies into special cassettes ahead of time, then just snap one in on home movie night and the show begins faster and easier than ever. I haven't actually used this projector yet, so I can't say for certain how well the system works. However, other cassette based film devices I have are mostly a pain to use (all that pre-loading of film gets really old, and I probably don't even need to say that they're not inter-compatible). Projector cassettes seem to be a solution in search of a problem - I don't think that it's the threading up of the projector that kept people from making home movies. The fact that these formats are a rarity today is testimony to how uninteresting the idea was to amateur filmmakers. Then again, making this crucial step a little easier would make for smoother running on movie night, and allow your guests less time to make their escape between reels.. It's getting close to the international celebration of Home Movie Day, which reminds me to get out some home movie reels to prepare for the fun. When my family projected movies, my father had a special space picked out on the wall - other families had tripod screens. All are great when you've got the room to set up a big projection. Sometimes, I just want to review films with a quickie setup on a tabletop. This screen is perfect for those moments. 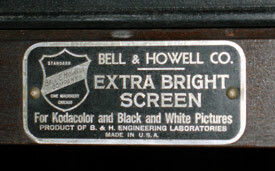 Bell + Howell made their name with all sorts of optical devices; cameras, projectors, and screens. 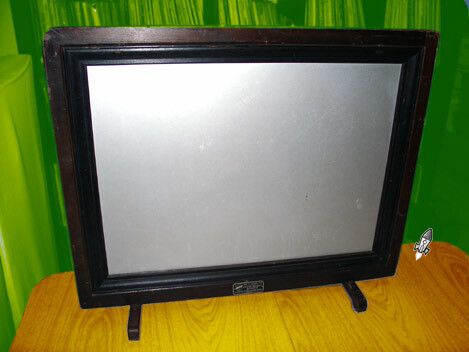 This one is unusual; it has the look of a high quality picture frame. You can either hang it up like a painting, or it has feet that swing out to use on a tabletop. Most important is that the screen is a true silver screen - super bright, and with a very wide viewing angle (apologies to all of you LCD TV's out there...). Of all of my home movie gear, this screen may be my favorite. It's only 1" thick, and at about 31" wide it's small enough to store easily while remaining large enough for watching movies with a group. Since it's all one solid piece it never wrinkles. Being freestanding makes it surprisingly versatile, but the best part is just how darned classy it looks. What's really funny is that when I leave this out on the table, friends (okay, my not-very-observant friends...) have thought it was the thinnest LCD TV they've ever seen! Of course I'm not above baiting them further when pointing out that super 8 can still pump out an image with higher resolution than HD. Oh sure, you kids with your desire for "sound" and "shooting for more than 3 minutes" might be a little disappointed, but I still say that threading up a movie projector is way more fun than watching a DVD. One last thing... here's a call for help from our readers. I accidentally put a mighty scratch in the screen years ago. A film collector friend once told me about a special kind of paint that would be compatible with the rest of the silver screen finish. I don't want to just repaint the whole thing grey... I definitely want to maintain the silver screen look and blend in the scratch. Any ideas out there? Fuji announced today that their Single-8 movie format will live to see another day. 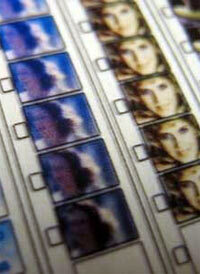 Single-8 cartridge film was introduced in 1965 and was intended to compete with Kodak's famed Super 8 format. It didn't enjoy much success outside Japan, even though it was technically the better format. 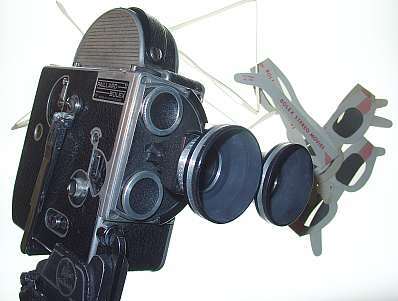 Unlike Super 8, it could be shot backwards and uses an in-camera film pressure plate that captures far more stable footage than Kodak's plastic in-cartridge design. Sales dwindled to an estimated 14,000 cartridges last year and production of Fujichrome R25N and RT200N color stocks was scheduled to end in March 2007, with processing to run until September 2008. The cancellation was greeted in Japan with vocal protests from professional cinematographers and amateurs alike. It didn't take long for the furor to migrate onto the pages of major newspapers. 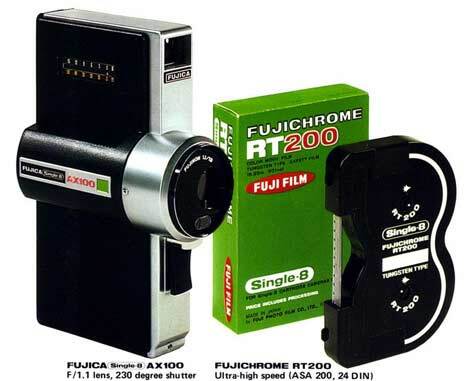 Faced with a minor public relations crisis and a surge in sales, Fuji quietly arranged to continue production and processing of the format for an unspecified period, rumored to be at least 3 to 5 years. Prices will increase slightly - less than 300 Yen ($2.50) per cartridge - to offset equipment maintenance costs and dwindling sales. Kodak discontinued Kodachrome Super 8 movie film almost two years ago and closed their processing facility in Lausanne, Switzerland at the end of September 2006. Luckily, Juergen Lossau of small format magazine had the foresight to visit the lab shortly before the end. His 20 minute documentary entitled Death of the Yellow Bag includes interviews with the lab manager and his colleagues, along with a behind-the-scenes look at the last Super 8 Kodachrome lab in the world. It also features the voice of Retro Thing's very own Bohus Blahut. KODACHROME: A short clip (on Kodachrome, of course) shot by Juergen Lossau and Heiko Riemann shortly after Kodak ceased production of this historic film stock. KODAK SUPER 8 INSTAMATIC: An ingenious commercial that promotes Kodak Instamatic cameras and the newly introduced Super 8 format. Shot in 1965, in English. ELMO COMMERCIAL: This Elmo promotion was shot on 16 mm and highlights various Japanese beauties from 1966 (15 minutes, in German). The DVD can be ordered through PayPal, by sending US-$39.95 (including postage) to info@atollmedien.de. Funky things happen when you load a thirty year-old roll of film into your trusty Instamatic. Sean collects toy cameras such as Holgas and Fujipets. In an effort to make things even quirkier, he feeds them a diet of expired film including Kodak Brownie 120 rolls from the 1930s and Kodak Plus-X that expired in February 1953. Exhilaratingly unpredictable stuff! "Rather than only showing shots I've taken with expired film, I thought it would be interesting to post pictures of the actual film. The boxes are pretty interesting, and many of these companies aren't around today. I use the film, though most of these are still unopened. I feel like I have to make them last "just in case," though there does seem to be plenty of expired film on the Web." It's the big day! Home Movie Day! All across the world, people are watching home movies together and having fun. It also marks the end of our week long look at some of the lesser-known aspects of the home movie experience. I thought we'd conclude with one of the most extraordinary ideas in home movie filmmaking - 3D. The Bolex 16mm camera has had a long life, and in that time countless accessories have come along to add some a new dimension to the filmmaking experience - in the 1950's Bolex sought literally to add a new dimension with this 3D lens set. While the rest of the world was slumming it with 2D films, Bolex created this special camera lens and projector lens set to bring depth to amateur films. The special fixed focus lens only fits on non-reflex Bolexes. It shoots two images side by side onto 16mm film, so the aspect ratio of your imagery is suddenly half the normal width. Once shot, you secure a special split lens onto you Bolex projector, aim at a lenticular screen, and watch the action pop out at you via polarized glasses. The 1950's were full of 3D movies, so I guess that it's no surprise that Bolex tried to bring the same sort of technology home. What makes it especially weird is that the magazines of the period discuss the Bolex lens as the vanguard of 3D filmmaking. There was a feeling that 2D movies were just a stopgap until 3D filmmaking was feasible. It may seem easy to scoff at such a notion now, but remember that there are a number of 3D Hollywood movies in production right now. Perhaps 3D camcorders aren't far behind? 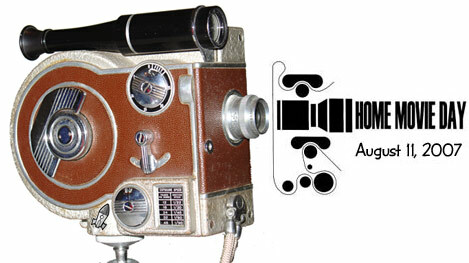 We hope that you enjoyed our little series on home movie Retro Things. Feel free to post in the comments section if you'd like to see similar series in the future. Oh, and let us know if you went to your local Home Movie Day, and what you thought of it! Thanks! Bolex Camera Records... yes, records! In the study of movies, there is an important aspect that even ardent students often forget. Silent movies were never actually shown silent. Movie houses were entertainment venues well equipped to add live music, sound effects, even spoken narration to puncutate silent films. The same should be true for home movies. You can watch them in stunned silence if you want, but it's better if viewers (especially those who are "starring" in the film) feel free to point out things that they recognize. I wish that I'd made tapes of my father narrating the details of his old home movies. Now when I watch them they are sadly as anonymous to me as films shot by strangers. In the absence of folks to chronicle the goings on in the film, you can at least play some music to add atmosphere while hopefully drowning out the rattle of the projector. 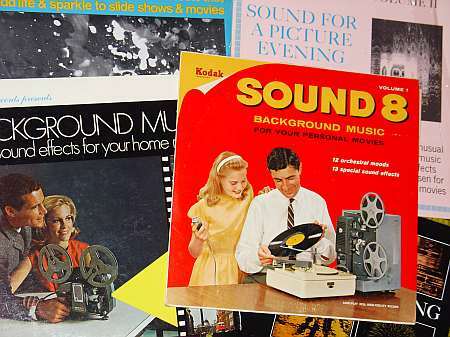 In the 1950's and 60's there were a lot of LP's expressly for playing along with home movies. Titles like "Water Activities" and "Mystic Vista" give you a good idea of what these music tracks suggest. Ideally you could try to sync up tracks to whatever is going on in the film, but I find it fun to just throw these records on and see what syncs up randomly. Every year I bring a pile of these records to my local chapter of Home Movie Day, along with a boom box with a built in turntable. The addition of music, no matter how unrelated it is to what's going on screen, multiplies the fun of the home movie experience. Over the years there have been countless hearty laughs when something on screen inadvertently matches a music cue.